I spent much of the past seven weeks working with Blue Ventures, a coral reef conservation organization, in Andavadoaka, a pretty remote coastal village in SW Madagascar. Blue Ventures is doing some terrific work monitoring the effect of fishing practices and other disturbances on coral reef health in the region and training both local people and foreign volunteers. The villages in the region are all collaborating to set up a network of Marine Protected Areas – essentially no or limited take zones – to ensure long-term maintenance of fish populations and overall ecosystem health. 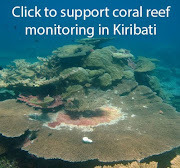 Personally, the highlights working with the BV staff and local fisherman to idenitfy candidate MPA sites and learning, through interviews, what some of the local people understand about the life and death of corals. To learn more, I suggest checking out BV’s blog. While I was gone, there has been lots of activity in the climate world. The “Summary for Policymakers” from the next IPCC report – basically the executive summary of the first section of the report – was released. The strong conclusion about the effect of human activity in the climate was no surprise. I hear that much ado has been made out of the “low” sea level rise predictions. It is important to remember that the IPCC is a consensus document and thus is bound to be a conservative assessment of the science. Due to the difficulty in representing ice sheet processes – see Michael Oppenheimer’s post on this on Real Climate – climate models are not able to predict the contribution of the Greenland and Antarctic ice sheets to sea level rise with enough certainty to be included in the IPCC results. If the recent evidence for accelerated melting in parts of Greenland and West Antarctica turn out to be long-term trends, rather than one or two year anomalies, the sea level rise this century would above the IPCC estimates. Right now, science cannot say with much certainty. How is the rest of the world responding? The US Congress is leaning towards some form of greenhouse gas legislation; the candidates for 2008 are battling to be the greenest (how about cutting the length of the campaign to save some energy). The EU has pledged a 20% reduction in emissions by 2030 and may raise if other nations agree to meet their bet. The Canadian Parliament has passed a bill forcing the country to comply with Kyoto, though yet again not including an actual plan. British Columbia has gone Schwarzenegger on GHG emissions. NJ Governor Jon Corzine looks to the same. Australia’s banning incandescent light bulbs. Oh right, and about a billion people just watched Al Gore win an Oscar. The real surprise to me -- there’s a beaver actually living in the Bronx River. Chalk one up for ecosystem restoration. Posted by Unknown at 8:52 a.m.